Lately I haven’t had much time at work for lunch, it’s just been so busy. Normally I take about 10 minutes to do a little meditation, but for the last couple of weeks (maybe more) I am taking 10 or 15 minutes to sketch instead. It seems to work just as well at energizing me for the afternoon! 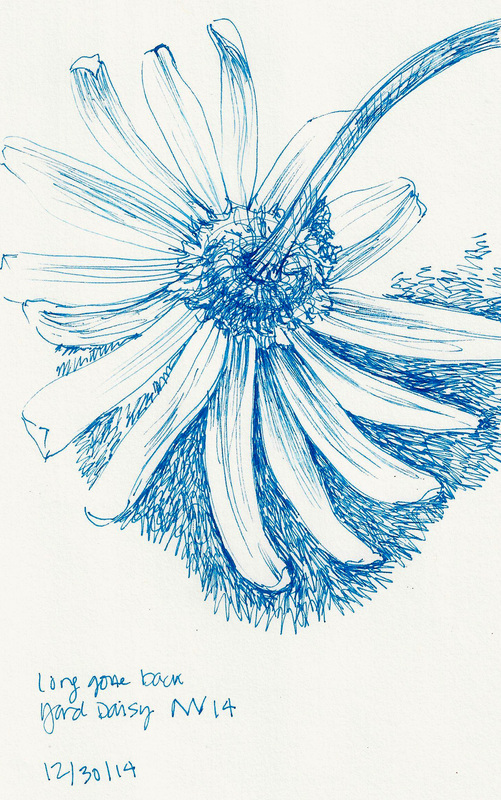 Now I need to carve out 10 minutes for actual meditation and 10 or 15 minutes of sketching! That would be super awesome for a lunch break! Maybe a New Year’s Resolution in the making. 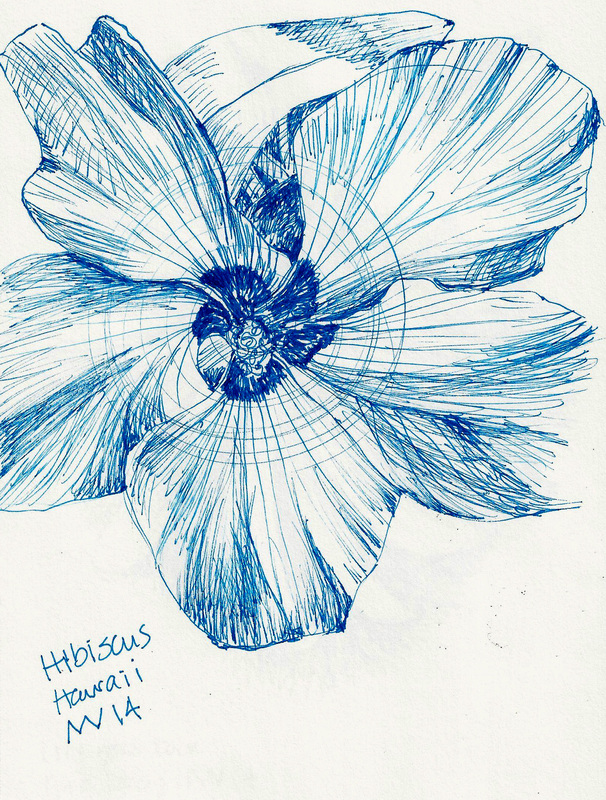 This entry was posted in Uncategorized and tagged daisy, Hibiscus, ink drawing, meditation, Micron Ink Pen, sketching. Bookmark the permalink. awww, Donna, you are so kind. I think you are pretty inspirational yourself!